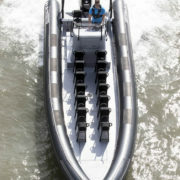 Gemini Waverider 12 passenger Tourist & Event RIB for sale on behalf of a client. 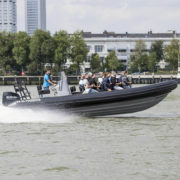 This 29 feet / 8.8 mtr commercial grade RHIB built by professional boat builder Gemini Marine is in excellent condition. 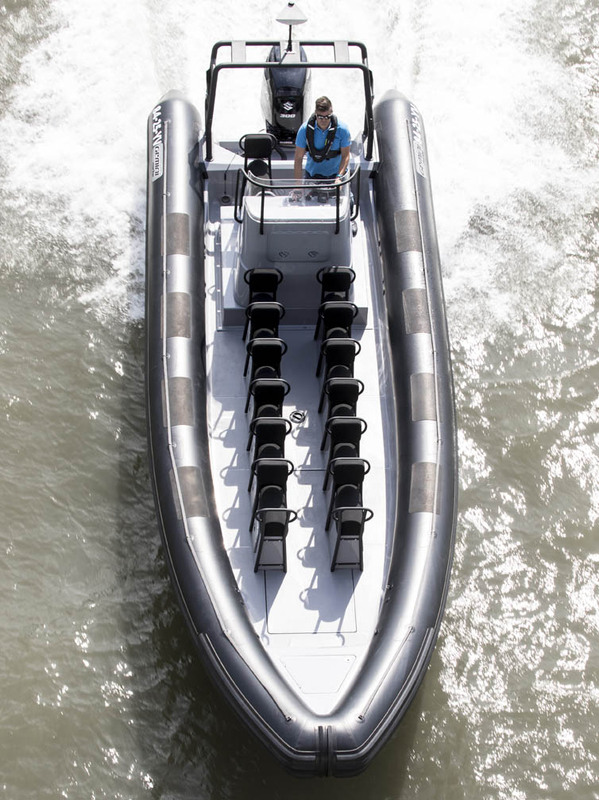 The commercial grade RIB has 12 professional and comfortable jockey seats for its passengers with Silvertex upholstery and sturdy foam. 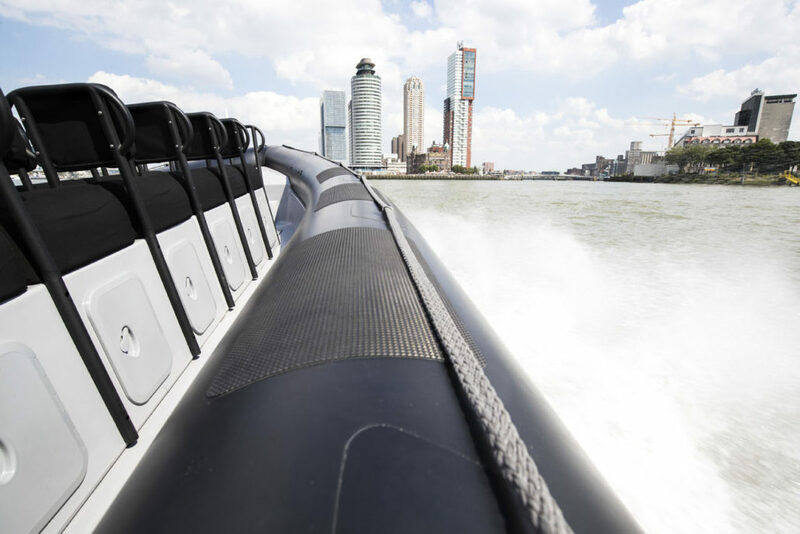 The crew also can be seated on two jockeys behind the wide console, which is placed higher on a platform behind the passengers, so you can watch both you passengers as the water in front of you. 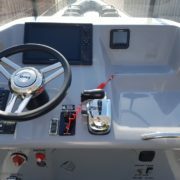 Powered by a 2017 Suzuki 300 hp outboard engine with less than 125 hours on the clock, this set is both powerful as economic. 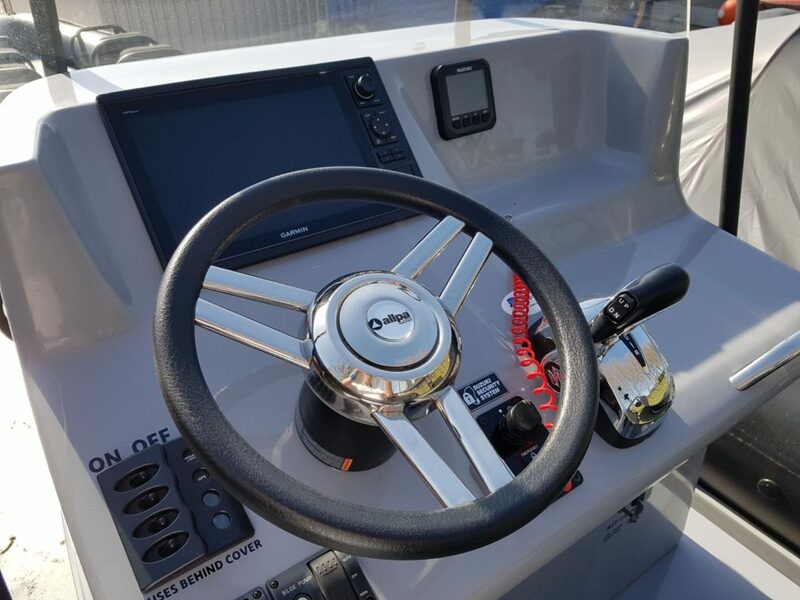 The performance of the fly-by-wire 4-stroke outboard engine can be monitored on the digital multi-function gauge. 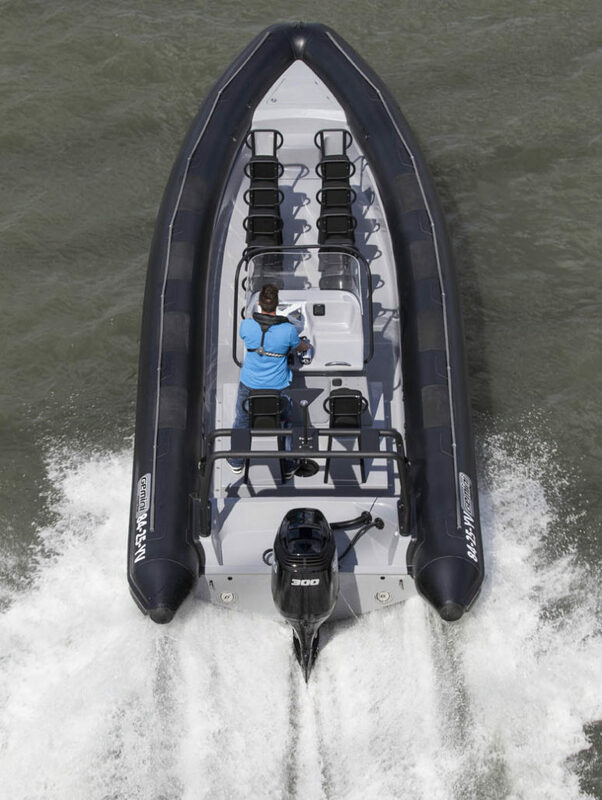 Thanks to Suzuki’s Keyless Start System, no unwanted people can start the engine to run off with the RIB. 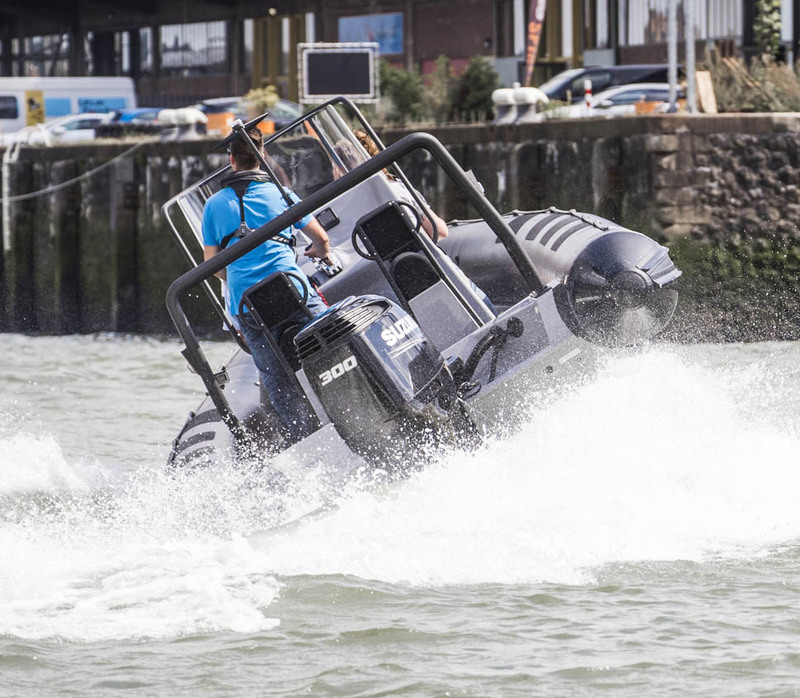 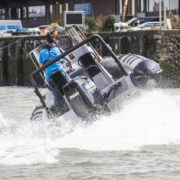 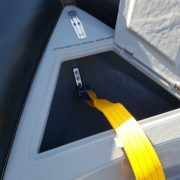 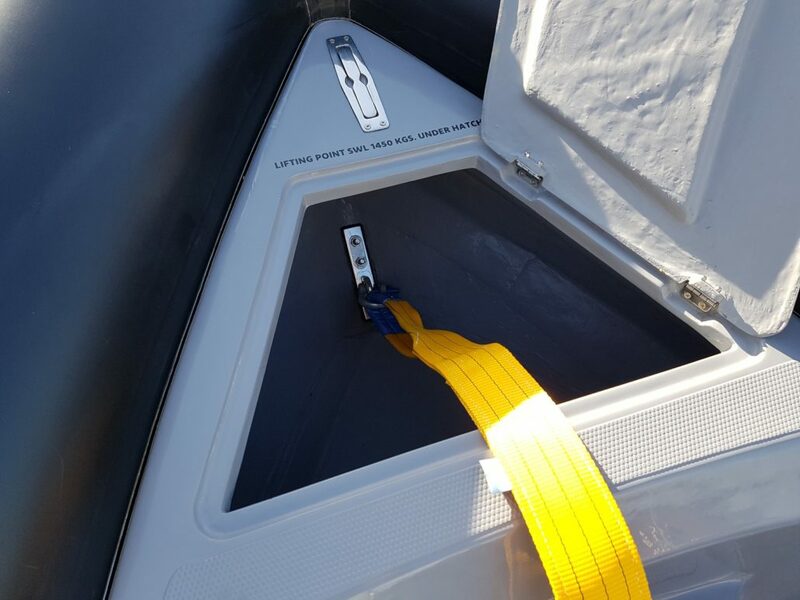 Equipped with a 3-point lift system (lifting points & slings), this RIB can be easily placed on deck of an adventure yacht or an exploration vessel, or have it easily put in and out of the marina. 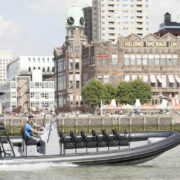 The Tourist & Event RIB is a.o. 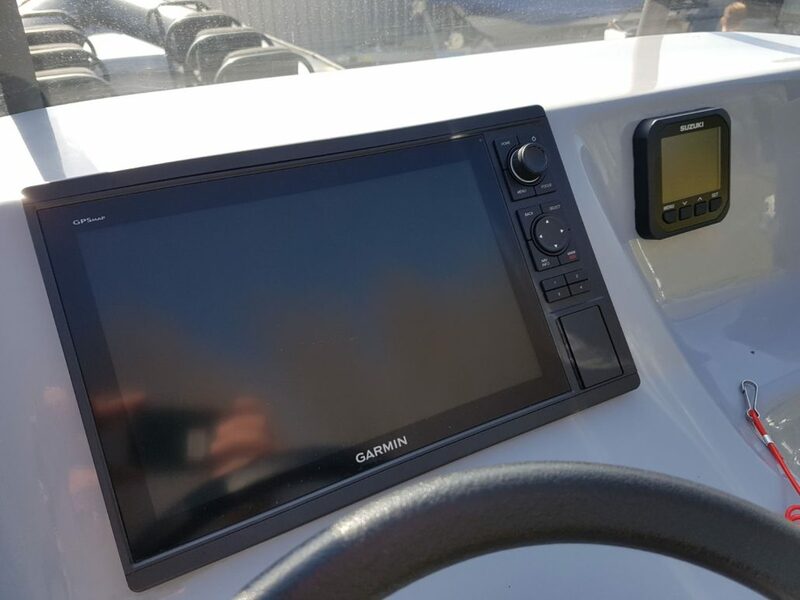 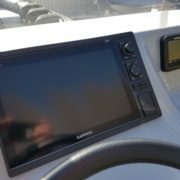 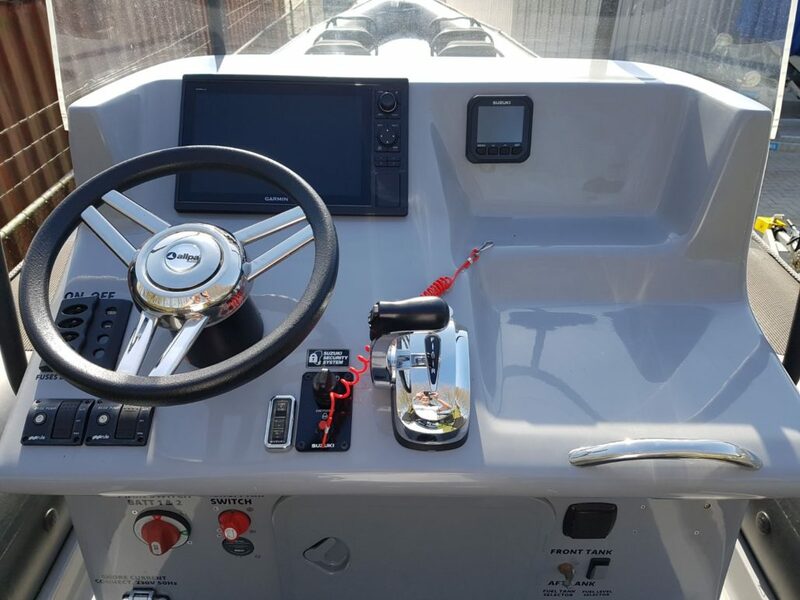 equipped with the following gear: Mastervolt twin battery trickle charger, Twin Varta high capacity 12 V batteries, HELLA/BEP Marine CC-802 main switch panel with emergency parralel switch and Digital Voltage Sensing Relay. 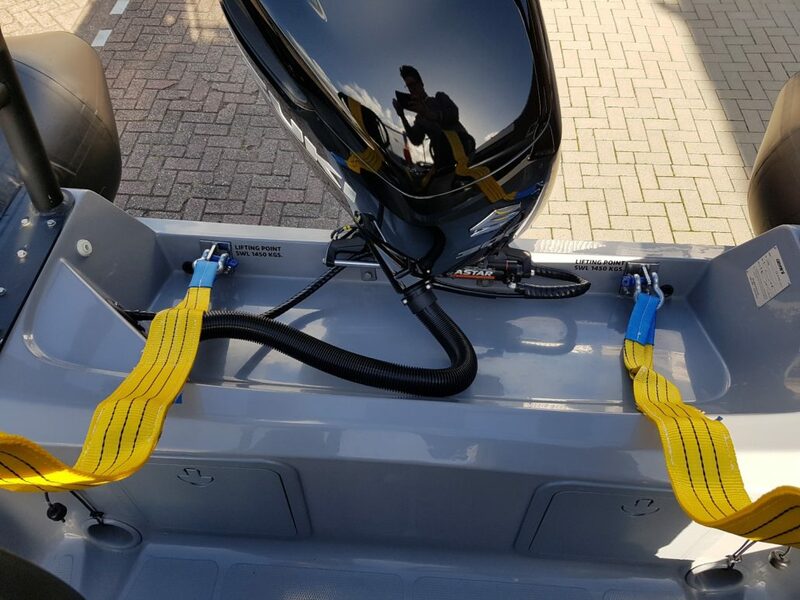 Double ALU 5083 marine grade fuel tanks with a total capacity of 600 ltrs for long range expeditions no need to refuel often. 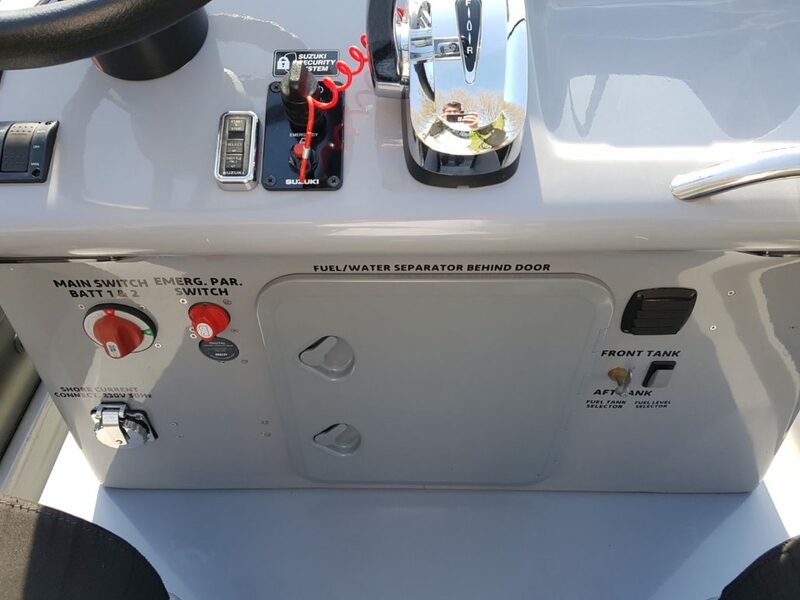 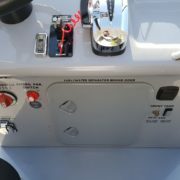 Double Bilge Pumps with manual/auto switches, Hella NaviLED Pro navigation lights, Garmin 1222 GPSMAP, Marinco 230V AC shore connector, tank selector. 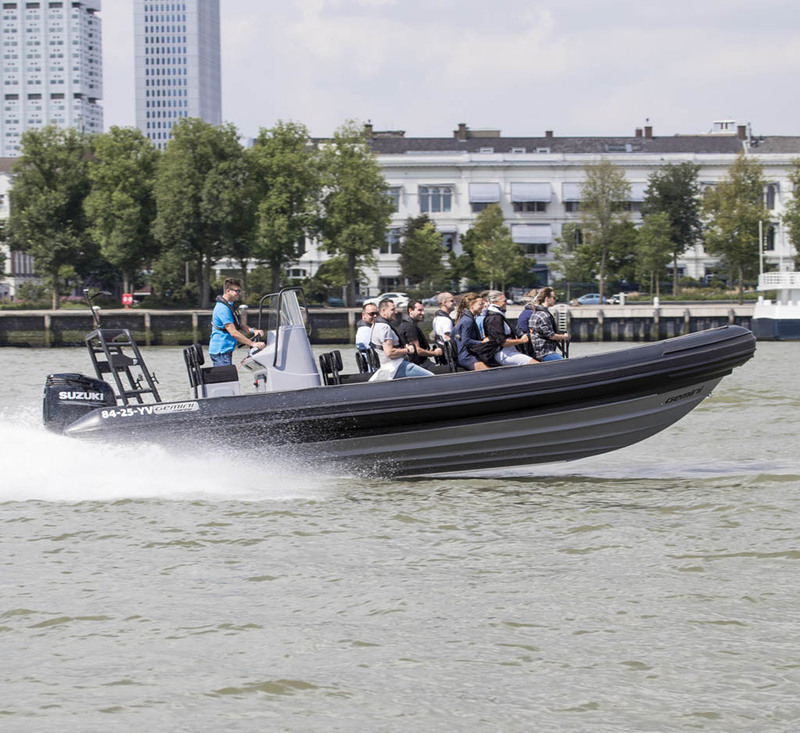 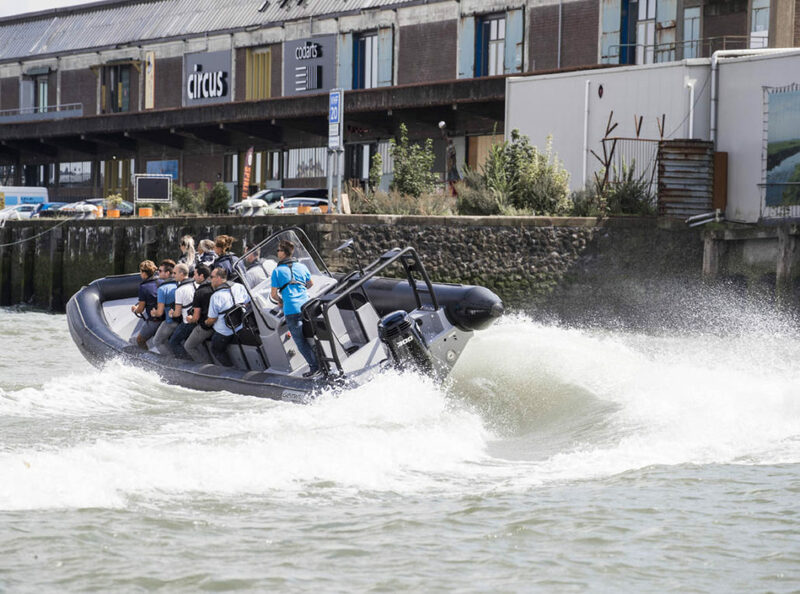 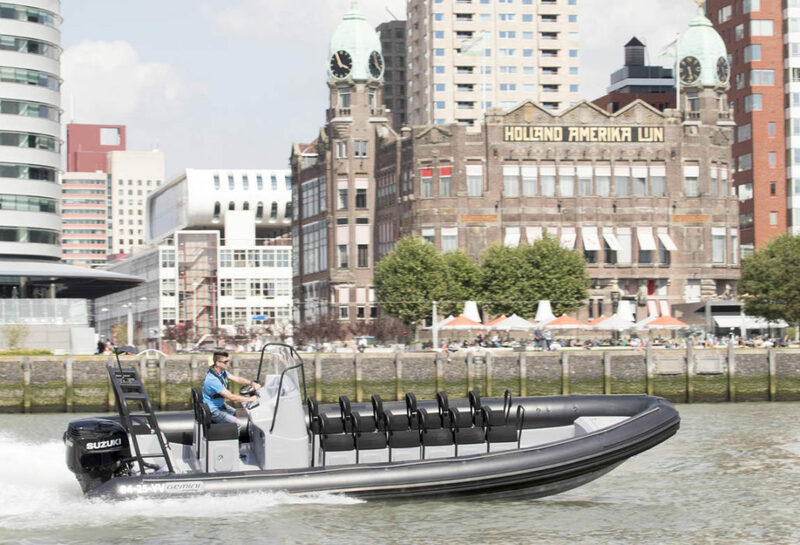 With it’s close to 9m length and 300 hp outboard with less than 125 hours this 12 pax Tourist & Event RIB is ready to give your customers an unforgetable experience! 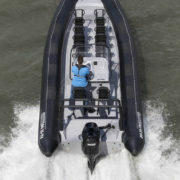 This RIB is direct available and ready to Sea Trial: call novi marine now for more info. 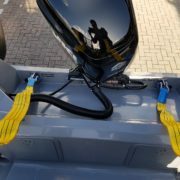 Can be shipped worldwide! 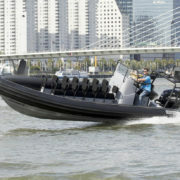 Are you interested in this boat and would you like to receive more information? 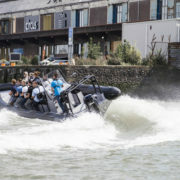 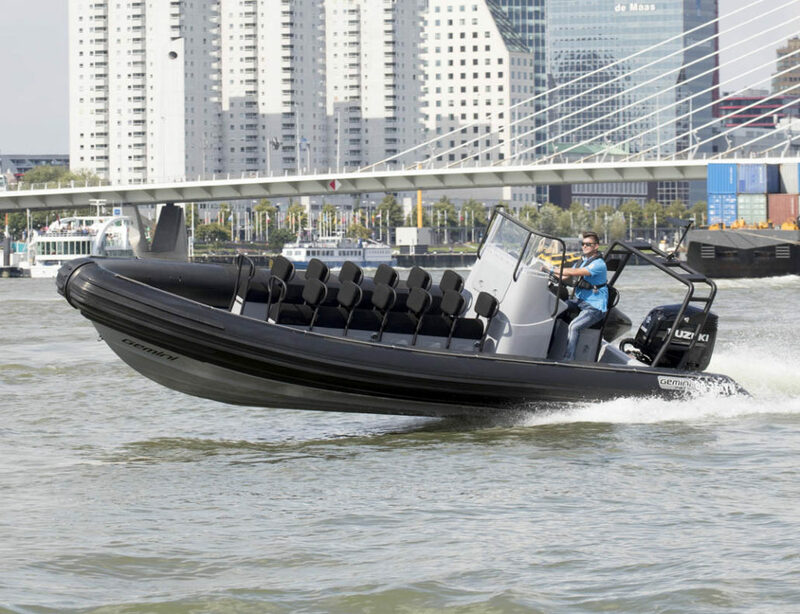 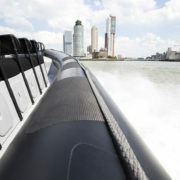 Or do you want to inspect this RIB in the Netherlands? 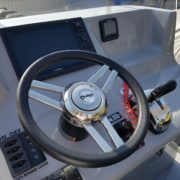 Please contact novi marine direct by phone on +31 (0) 167 50 00 02, or fill in the contact form below.